The new YCT test was launched by Hanban in an effort to encourage foreign young students to learn Chinese and improve their Chinese language proficiency. As part of this effort, since 2004 Hanban has organized experts from different disciplines such as Chinese language teaching, linguistics, psychology and educational measurement to work on the program, conducting surveys in order to understand the latest trends in overseas Chinese language teaching and learning. Test takers obtaining results of distinction are qualified to apply for the Chinese Test Excellent Test Takers Scholarship, offered by Confucius Institute Headquarters/Hanban, for further study in China. The new YCT is an international standardized test of Chinese language proficiency. 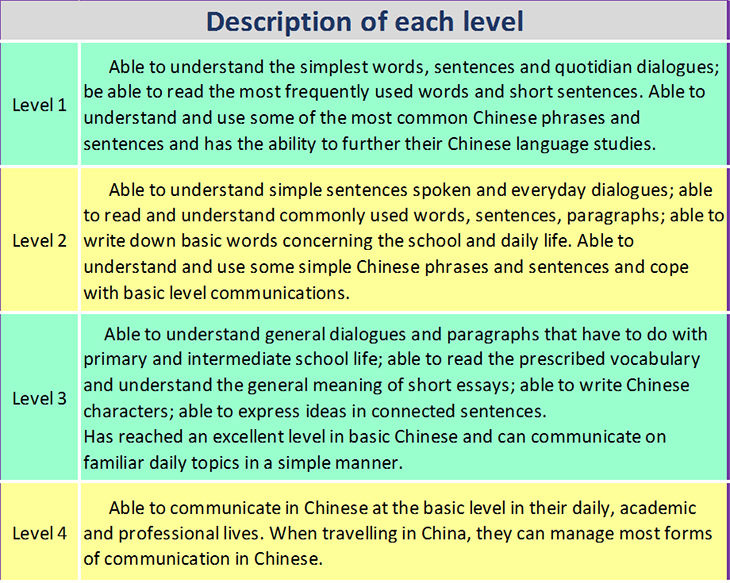 It assesses young foreign students' abilities to use Chinese in their daily and academic lives. The new YCT consists of a writing test and a speaking test, which are independent of each other. The writing test is divided into four levels, namely, the YCT (level I), YCT (level II), YCT (level III), and YCT (level IV). 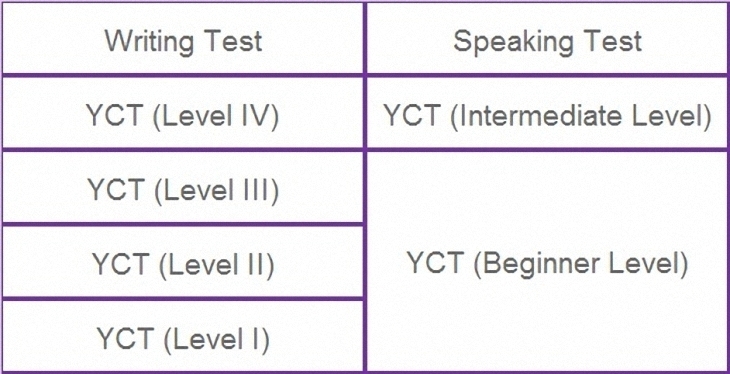 The speaking test is divided into the YCT (Beginner Level) and YCT (Intermediate Level).